LET'S TAKE YOUR GAME TO THE NEXT LEVEL TOGETHER. Get advice and tips from professional athletes on their personal journey. Find out how they took their game to the pros and how their experience can help get to the peak of your game too. Stay connected with news, updates and more coach's notes! Wendy Posillico is an athlete, a coach, a mother, an explorer, and the founder of WP Elite Mindset Coaching. 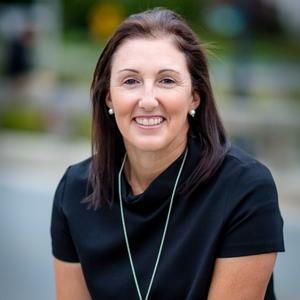 After becoming a professional golfer in her thirties Wendy’s life went in a completely new direction, and she came to understand the importance of a flexible mindset, targeted goals, and clarity of self. Drawing upon her background in special education and human development, a lifetime of experience in competitive sports, and the most up to date research on high performance, Wendy created her Elite Mindset coaching process. She learned to embrace transition and trust her intuition in order to transform her life, and she wants to help YOU do the same. Wendy designed her coaching for athletes, parents, businesspeople, or anyone in a period of transition looking to harness the power of perspective. Unleash your talents by transforming your mindset: join Wendy’s tribe!